Too Much Zing in the Zeal Point? Hi Friends. I’ve had something I’ve been intending to write up for almost three weeks now, which I very much look forward to sharing with you. But isn’t it interesting that no sooner do I wish to share something actually rather significant re: the ascension process that I get slammed with the most massive possible migraine—agony beyond belief—on and on and on for something like nine or ten days now. It ebbs to a low roar, then explodes again to a degree that would be worthy of an ER visit if I were insured. On and on. I decided to mention this after seeing a few other mentions of similar experiences among other bloggers. If you’ve been feeling rather intense discomforts recently, it may well be the powerful wave of higher energies now upon us. This is major, and, while the *good news* I want to share involves this substantial influx… unfortunately there’s a period of adaptation that at least some of us seem to be experiencing presently (tiring as it is to be in the throes of yet more ‘symptoms’). Following is a new message from Meg Blackburn Losey, Ph.D. I’m adding this graphic to this post, while also acknowledging that from a cosmic perspective some things ARE actually happening TO us. We are in a massive shift! But we also chose to be here now, for this most unique experience, and how we respond to what is going on is of utmost significance re: how it all plays out, personally and collectively. We are HERE. We are participating in something huge in collaboration with Gaia and the greater cosmos! We need to be conscious and compassionate — as fully as possible. Greetings from the light, with the light and within the light. Your human nature is changing. You are becoming creation embodied in powerful ways that you have never experienced. The entire matrix of creation is reorganizing in such a way that your bodies are too. New and more complex fractals are organizing new realities in body mind and spirit that are becoming, shall we say, next gen human. As the energies organize, reorganize, evolve and balance, your DNA is changing as well. DNA is directly and indelibly linked to consciousness. They are one in the same with DNA at the physical (but by no means limited to) and Consciousness unfettered to any restrictive construct. As consciousness finds the freedom of the way into your awareness your DNA responds by new encodings, different communications, greater light fields, and expression. In some cases DNA is literally rearranging its functional patterning. In other ways, epigenetically, your DNA is expressing you differently. 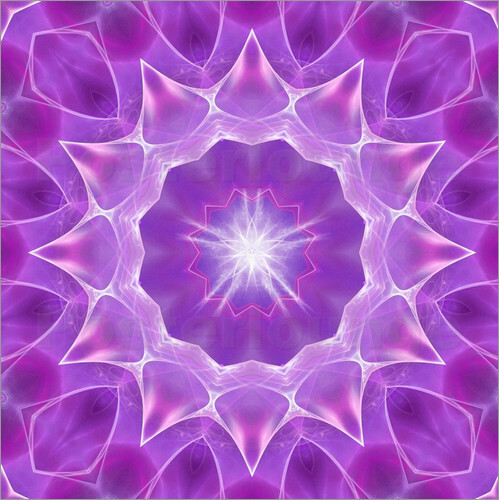 I am the consciousness, light, and vibration of the Violet Flame, anchored from the higher realms of the Creator’s universe into all dimensions as a representative of the purification energy of the Creator. I am a source of light, an aspect of the Creator focused upon transmuting and transforming energies into a truthful alignment and acceptance of the Creator.Let me be as one with you, as we work together to dissolve illusion. In order for transmutation and transformation to take place one is required to be willing to let go of illusion especially within the mind and personal creation manifestation. While the energy, sensations, feelings, vibrations, and consciousness transform within your being, it is the mind and mental body working with the spiritual body and soul which brings forth manifestation and experience of transformation. 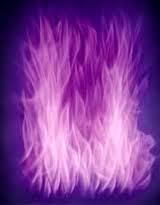 My purpose as the Violet Flame is to work with your thought forms, your patterns and habits of creation, projections, and manifestations, as well as erasing all mental stress caused by confusion and illusion. I work closely with the physical body. dissolving the presence of disharmony which is a co-creation of the mental, emotional, and even spiritual bodies; thus I work with your manifestation and projection ability, aligning your manifestations to the Creator and the truth of your soul. The recent lunar eclipse is the second tetrad of lunar eclipses that began this year. The first total eclipse in the tetrad took place in April 2014, the second in October 2014 and the third will occur in April 2015 with the last in the tetrad set in September 2015. When sets of eclipses occur the cosmic forces of alchemy alter frequency current and manifest new potentials in creation for shifting one’s consciousness in either direction of polarity. Thus, this tetrad of lunar eclipses alter the magnetic field and magnify the Galactic Zodiac influence, the alchemical principle of the current constellation transmission into the planetary grid. Consequently, this alters the life force current that human consciousness takes on in order to come into manifestation on planet. The recent altered frequency shifts impact the core building blocks of life and is running deep throughout our cellular biology. This frequency transmission is what changes instruction sets in the DNA messaging made to the cell. Cells use DNA for their long term information storage and this “long term” cellular record is being newly updated in the planet. 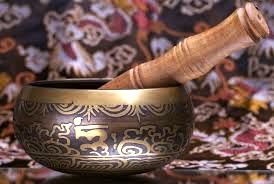 Therefore, this stimulates the body, mind and emotions into expressing different patterns and perceptions. We are undergoing deep change in the mitochondria of the cell which also directly affect the body’s metabolic and hormonal pathways. Do you know that there’s a unique design to your life? There is. Your mission in this lifetime is to discover that design and get aligned with it. When you do, life becomes fun, things flow easily, the inevitable challenges of life are only temporary setbacks, and you feel that your life has real meaning. Your Hidden Riches are what surfaces when your rituals help you both discover and stay aligned with your life’s unique design. Rituals can help you manage your time, your energy and your thinking. Only 25% of life can be experienced with the senses. Rituals allow you to connect with and tap into the power of the other 75%. Many people think that rituals are religious practices or superstitions. Yet rituals are the “secret weapons” of the world’s most accomplished people — from sports stars to corporate executives to world — class performers. What most people have missed is that rituals are essential tools in today’s world to improve performance, to stay calm in stressful situations, and to maintain balance in an over-busy life. The following message courtesy of Lena at thepowerpath dot com. The Unknown is what you cannot see, hear, feel, know, second- guess, expect or control. There is no instruction manual and nothing familiar. The comfort zone is being eroded much like being in a swimming pool where all of a sudden the sides of the pool disappear and you find yourself in a vast body of water with no edges in sight. You will either sink or swim and this is the nature of this month. Fear will cause you to sink. The willingness to be in a new experience will keep you afloat.